Thank you for your interest in Pressure Signal Conditioner. Please complete and submit the form below and an ADInstruments representative will aim to get in touch within one working day. If you’d like to speak to someone immediately, office contact information is available from the contact page. The Pressure Signal Conditioner is a two-channel amplifier/interface unit for connecting one or two Millar Mikro-Tip catheters. 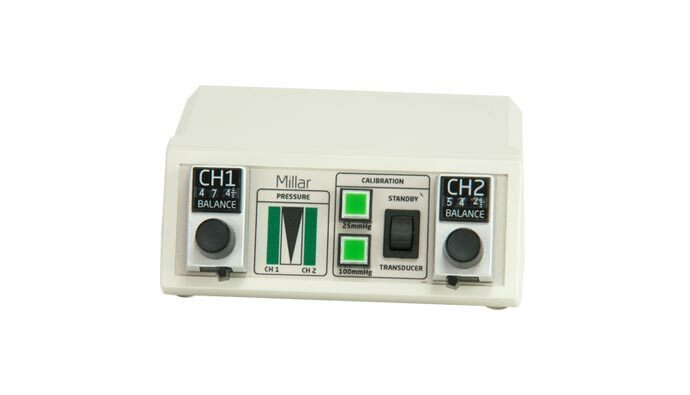 The Pressure Signal Conditioner is a two-channel amplifier/interface unit for connecting one or two Millar Mikro-Tip catheters. The unit analog output signal level of 1V/100 mmHg is compatible with any PowerLab. To connect each the pressure outputs to the PowerLab inputs, two BNC to Audio plugs (6.5 mm (1/4"), 2m) need to be purchased separately. 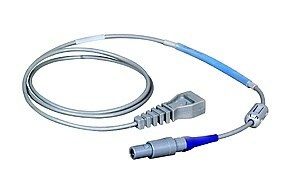 Millar pressure catheters also require a Viking connector or low-profile connector Interface Cable for use with the Pressure Signal Conditioner.